Amherst, MA -- Just because the countdown to the end of this lost season is near, doesn't mean the Hawk has any shot at expiring. 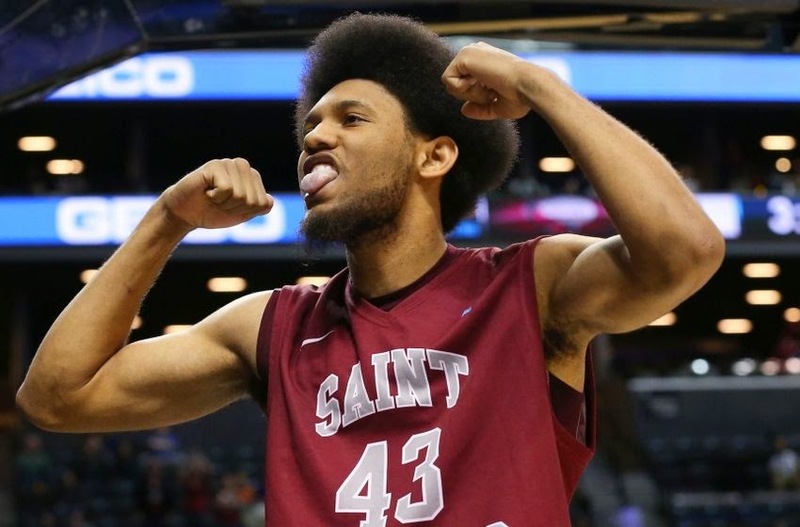 At times the only player who has shown enough talent and drive to take over a game by himself, DeAndre' Bembry poured in a career-high 33 points and grabbed 14 rebounds as Saint Joseph's defeated the Massachusetts Minutemen, 82-71, in an Atlantic 10 Conference matchup at the Mullins Center. The win snapped an eight-game road losing slide for the Hawks (12-15, 6-9 A-10), who also received 15 points courtesy of Isaiah Miles. Chris Wilson netted 13 points, while Aaron Brown scored 11 points off the bench for Saint Joseph's. SJU also stemmed a three-game overall losing streak, since beating Rhode Island 65-64 at Hagan Arena on Feb. 11. Cady Lalanne paced the Minutemen (16-12, 9-6) as he registered a double-double with 14 points and 13 rebounds. Maxie Esho and Demetrius Dyson contributed 12 points apiece, while Trey Davis recorded a double-double of his own with 11 points and 10 assists. Donte Clark chimed in with 10 points on 2-of-11 shooting from the floor for UMass. Saint Joseph's took a 36-35 lead into halftime after it connected on 42.3 percent of its field goal attempts and converted 9-of-11 shots at the free- throw line in the opening stanza. The Minutemen were limited to 36.4 percent shooting from the floor in the first half. UMass continued to struggled after the break as it shot 31.4 percent from the field, including a 2-of-12 clip from behind the 3-point line. The Hawks made good on 4-of-5 tries from beyond the arc and outscored the hosts, 22-16, in the paint in the second stanza. The Hawks finished with an 18-6 edge in points off turnovers. They'll host Richmond on Saturday, La Salle next Wednesday before completing the regular season at URI on March 7.